Home Tags Posts tagged with "Geriatric Dentistry"
Most people know that teeth help us speak and chew food. However, an important, often overlooked function of teeth is that they help keep your face as long as it is. 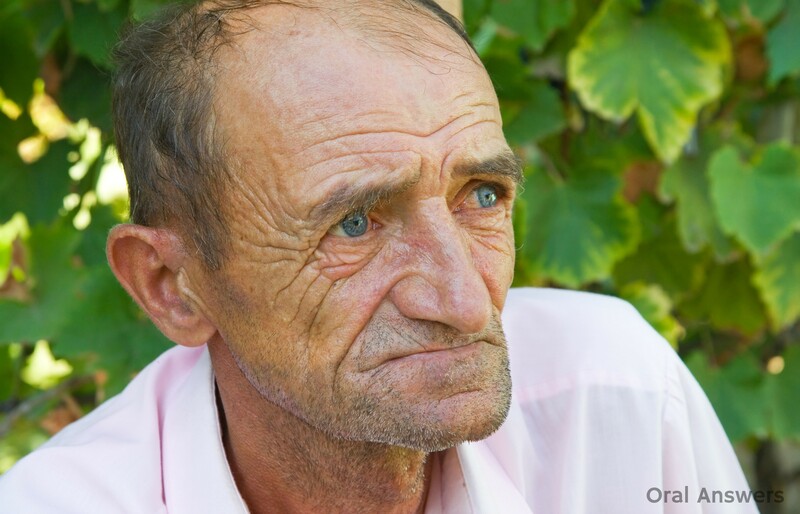 Have you ever noticed how older people sometimes look like their face was compressed together? Often this is because they have lost teeth, and their jawbones have gradually gotten smaller over time. If you open your mouth all of the way and then close it, you’ll hit on your teeth. If you didn’t have any teeth, you would be able to close down much further, which would make your face appear to be shorter. 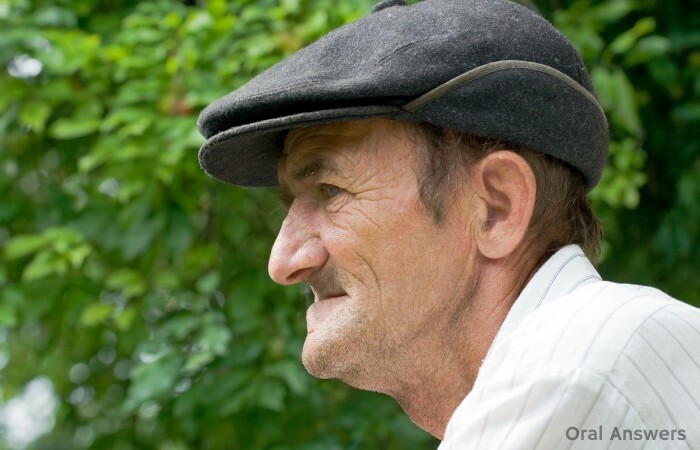 The picture above shows an elderly man who removed his dentures for the picture. As you can see, without any teeth to hold his jaw bones apart, the space between the tip of his nose and chin is shorter than you would see in someone with teeth. Also, you can see that his mouth area appears to be slightly puckered inwards because he doesn’t have any teeth to support the his lips and the area around his mouth. The technical name for the space between the jawbones when the teeth are touching is called the vertical dimension of occlusion or VDO for short. If you’re curious about the relative lengths of a face with a normal VDO, look at this image on Google Images. 1- Losing teeth, especially the back teeth that bear a lot of the force when you bite down. 2 – Grinding your teeth. As you grind, you wear away tooth structure and your teeth get shorter, which causes your whole face to get shorter! 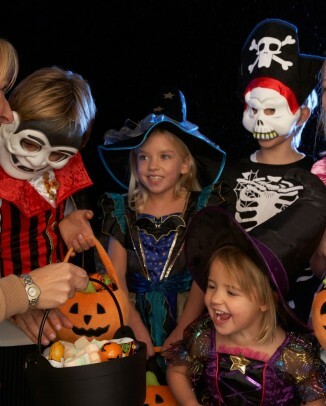 3 – Getting cavities. Cavities also eat away tooth structure and can cause your bite to collapse. 4 – Having Your Teeth Drift. This goes hand-in-hand with losing teeth. Sometimes when you lose teeth, the neighboring teeth will drift into the empty spot (this is why spacers are important in kids!) As the teeth drift, the top teeth and bottom teeth don’t come together like they used to, which can cause you to have a deeper bite and a shorter face. As you can see from what I’ve written above, the main causes of losing facial height are due to preventable dental diseases. By regularly going to your dentist you can treat cavities so that you don’t lose your teeth and you can also get appliances to help you stop grinding your teeth so that you don’t grind them away. Do you have any questions or comments about this article? I’d love to hear them in the comments section below – Thanks for reading! FYI – This was supposed to be yesterday’s article, but my hard drive crashed Thursday night, I got a replacement yesterday at Best Buy and now I’m up and running again! Over the past few decades, the number of people keeping their natural teeth has steadily increased. In fact, a researcher by the name of Hugoson did a study in Sweden spanning 40 years. 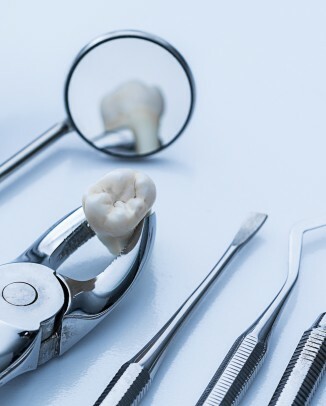 It showed that over time, people are keeping their teeth much longer, and dentists are providing higher quality fillings than they have in the past. I’ll recap some of that study’s most interesting findings later in this article. Karen is right, better dental care is much more widely available now than it was in the past. Many factors have contributed to this improvement of oral health, some of which are still being studied. 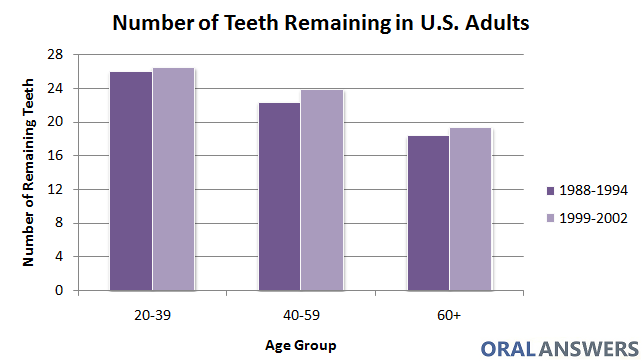 The graph below shows the percentage of elderly adults that are missing all of their teeth. 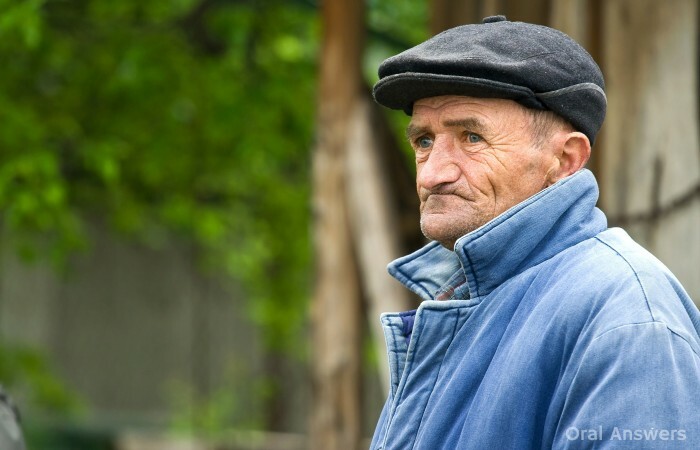 The data is taken from two different studies, the first study defined the elderly as those aged 65 to 75 and the second study defined the elderly as anyone over the age of 60. Despite this minor difference, both sets of data demonstrate the same trend — the American elderly are keeping their teeth longer. 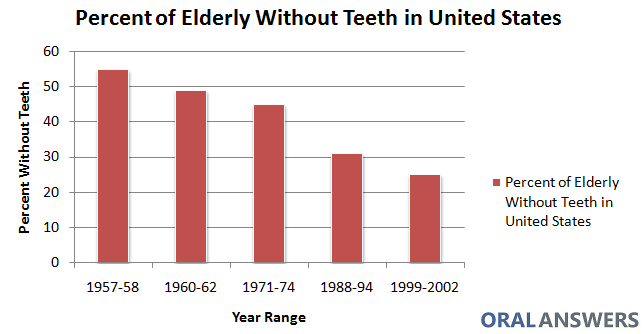 As you can see, about 50 years ago, over half of the U.S. elderly population were missing all of their teeth. Recently, that number has dropped below one quarter of all U.S. elderly adults. The graph below shows the number of teeth that people in different age groups had circa 1990 and 2000. I made it using the data from this study. For the purposes of this study, a full set of teeth is defined as 28 teeth. This does not include the wisdom teeth, since they are often extracted. 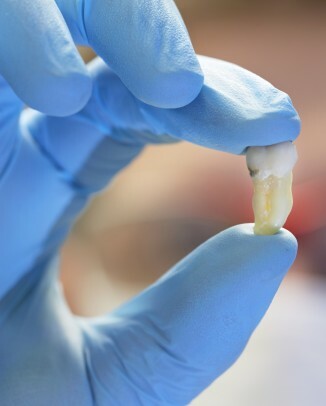 Between 1990 and 2000, the number of natural teeth that adults across all age groups had noticeably increased. The number of [people missing all their teeth] in the age groups 40-70 years was reduced from 16 per cent in 1973 to 8 per cent in 1993, and to 1 per cent in 2003. The average number of teeth people kept increased. Up to the age of 60 years, people generally kept all of their teeth. During the 30-year period,the number of carious lesions and restorations generally decreased. 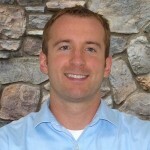 During this time, the overall quality of fillings increased. In the 1990’s, only 5-10% of fillings had a critical error, and in the 1960’s, 40% did. In 2003 the bone level at the age of 60 years corresponded to the bone level at the age of 40 years in 1973. Bone level is an important measurement used to determine gum health. The comparison of the four studies shows that there has been a great overall improvement in oral health over this 30-year period. Gum disease is the main cause of tooth loss. I found it interesting that the gum health of those who were 60 years old in 2003 was equivalent to a 40 year old’s gum health in 1973. 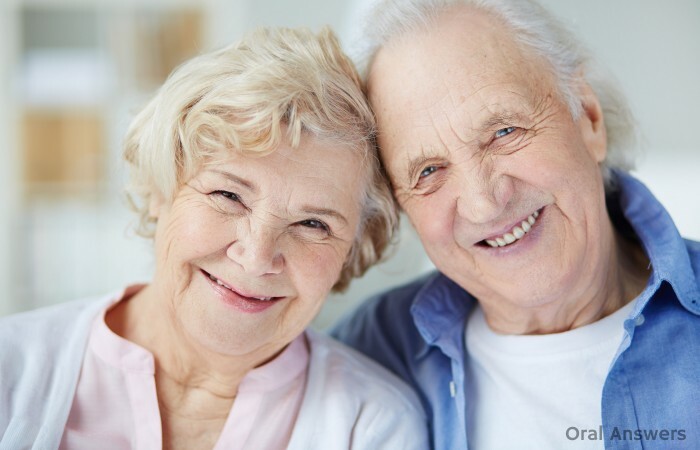 This trend helps to explain why more and more elderly people are keeping their natural teeth. Oral health is improving. It could be because of the increased availability of fluoride, better oral hygiene, higher quality dental care, or a combination of many factors. Returning to Karen’s original question, the evidence shows that we are not doomed to lose our natural teeth when we get older. 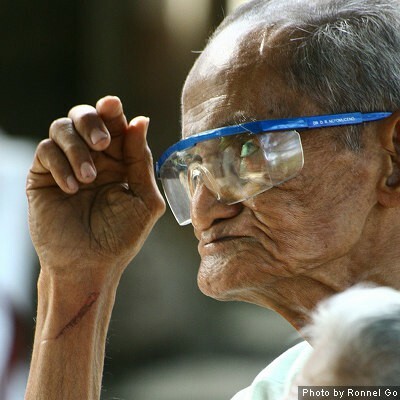 Keep in mind that those who are elderly now grew up before the 1950’s and they are keeping their teeth longer. In fact, the chances are better than ever that with proper oral care, you can keep your natural teeth for a lifetime! 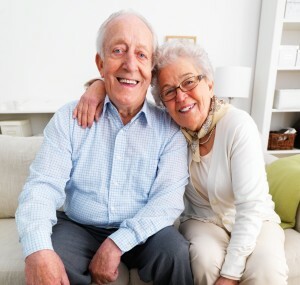 Do you have any questions or comments on oral health and aging? Please leave them in the comments below. If you liked this article, share it with a friend!